There are four stages to the commissioning process: meeting; designing, production and delivery. An initial meeting either face to face or via a phone call, is the time where we listen to what you are looking for. We try to get as much information as possible, about what your design preferences are as well as practical needs. If possible, we like to see the room where the final piece will sit – to get a sense of décor, layout and lighting. 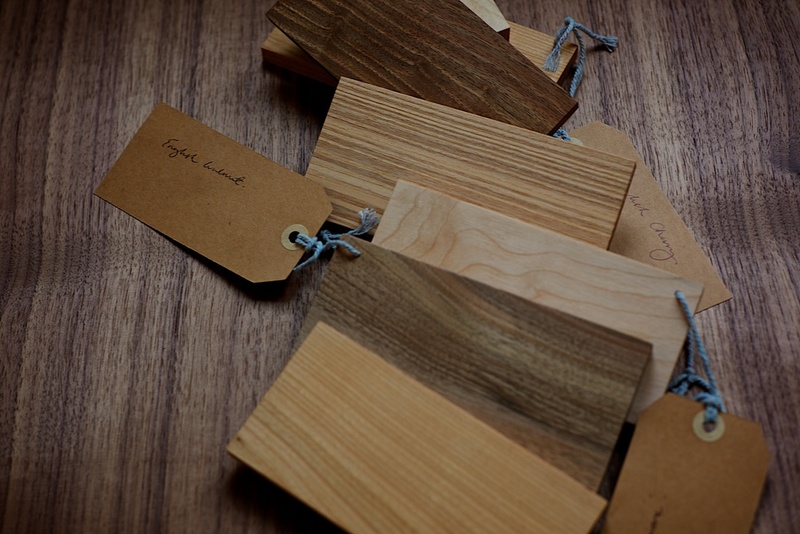 We’ll share wood samples and examples of our previous work with you, to help us explore possible concepts together. As soon as we have a brief from you, we’ll go back to the workshop and move forward with designing. We’ll prepare a design scrapbook including photographs/research, suggested woods and illustrations of the proposed design. These will be presented to you for discussion and feedback. Once you give us the thumbs up on our design, we allocate workshop time and give you a delivery window. Throughout the production of your piece we’ll provide you with a photo diary of the build, which is a fascinating insight into the workings of our craft. You get to see our hands at work and the great care taken in bringing your furniture to life. You are also welcome to come and visit the workshop, to see your piece being made. We aim to deliver ourselves, this allows us to see the finished piece in its new home and discuss after care with you.